Avocados are creamy, delicious and very healthy – great as a snack, served with burritos, as a spread on wrap sandwiches, or just as something different as part of lunch. 1. For the tortilla chips, preheat the oven to 350 degrees F.
2. Cut tortillas into triangles, strips, or any shape your kids like, and bake until crisp. 3. 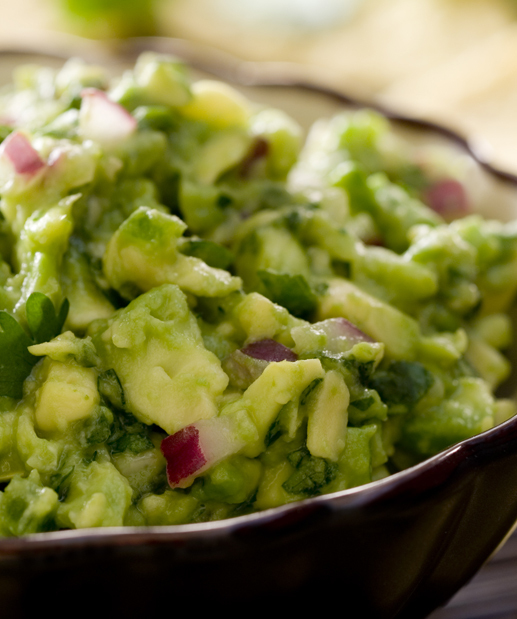 Pit and scoop the avocados. Using a potato masher or a fork, mash them in a small bowl. 4. Mix in the onions, jalapeno pepper, tomatoes, and cilantro. 5. Season with lime juice, salt, and pepper.